Native to the United States, the species grown for garden use are small mounding plants that bear flowers with five petals, either bright blue or white with blue dots on the edge of the petals. Foliage is gray green, deeply lobed. 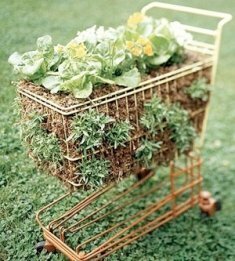 They grow best in cooler zones in the spring. 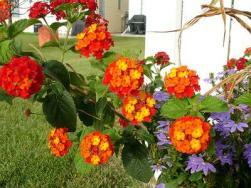 In warmer zones, it can be planted in fall for winter or very early spring bloom. They don't bloom very long and look best when planted in large groups. 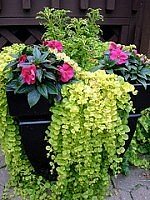 It grows well in sun to part shade areas when the weather is cool and moist. Bright light areas (north facing beds or containers) also suit nemophila. The soil needs fertile, neutral and needs to be kept consistently moist. Applying a layer of mulch will help maintain moisture when grown in garden beds. If grown in containers, water regularly. Nemophila dies in summer, so it needs to be replaced with other annuals that can handle warmer temperatures. It can self seed itself, so if you don't want volunteers, dig out before it sets seed. Fertilize once every two weeks to a month. Direct sow nemophila outdoors in early spring. Select the garden area or container, till some compost in, broadcast seed, cover lightly and keep moist. 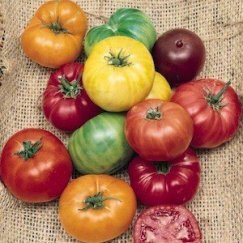 It germinates quickly and can tolerate a light frost. 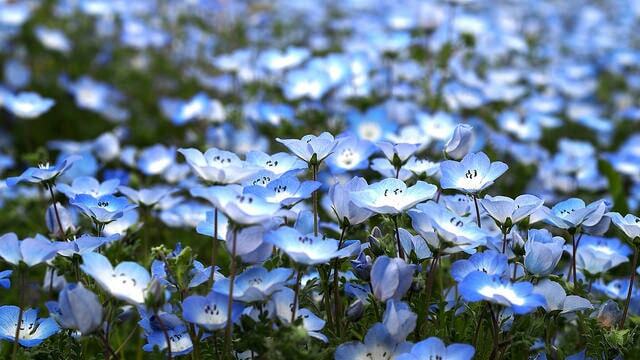 Though it is best to sow nemophila outdoors, it can be grown from seed indoors. Plant seeds in moist starting mix, barely covering seed. Nemophila germinates in about a week. Grow it indoors in cooler conditions about 55F and good light to prevent seedlings from getting leggy. It can be hardened off and transplanted around the last frost date. 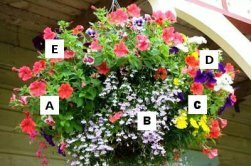 If nemophila develops mildew, remove affected plants and treat with fungicide. Aphids can be knocked down with a blast of water from the hose.